#72) “Lalaland” is a Wonderful ABT Tour de Force! Get ready for “Lalaland” to win the hearts of movie fans over the next few months. 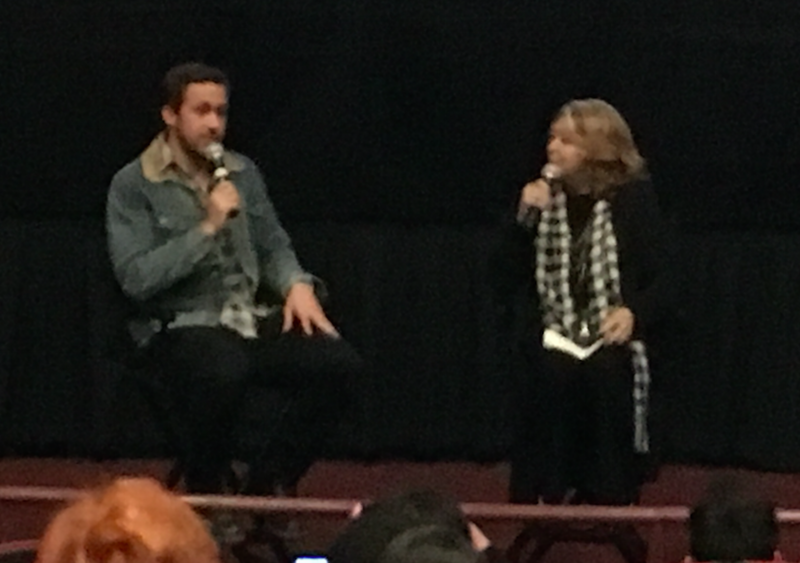 I attended a Screen Actors Guild screening yesterday where the lead actor Ryan Gosling spoke afterwards. He was amazing, both in the movie and as well as tremendously likable in the Q&A. But most important, the movie was an ABT tour de force, wrapping itself up in a neat story package at the end, prompting the audience to give it a well deserved standing ovation. Musicals that work are difficult. Musicals that work AND tell a good story are incredibly rare and difficult. The film is already scoring advance raves and deserves every bit of the hype. HE SINGS, HE DANCES, HE PLAYS PIANO — AND HE’S HUMBLE. Ryan Gosling shows incredible talent in the movie, saying he spent three solid months, night and day, learning the piano and dance moves. Once upon a time, long, long ago, I wrote and directed a 20 minute musical comedy film at USC film school that premiered at the Telluride Film Festival, chosen as one of six student films out of nearly one thousand submitted. You can actually view it here, but you need to keep in mind it was made 21 years ago as a student film and shot on 16 mm film, back in the days when that still happened. It starred Carol Hatchett, one of the Harlettes, Bette Midler’s backup singers, who gave a tremendous performance that made it all work. One thing I learned in the process of making that film is that it’s incredibly difficult to make a film that both has song and dance numbers, yet still tells a good story. It’s easy to let the musical numbers, because they are so difficult, take priority and end up with a movie with a clunky story. Knowing that gives me an even deeper appreciation for the new movie “Lalaland” starring Ryan Gosling and Emma Stone which manages both great musical numbers and a tight, simple story that builds to a wonderful conclusion. It’s great. A friend invited me last night to a Screen Actors Guild advance showing of “Lalaland.” For starters it was a pushover audience packed with actors who knew all too well the world the film is set in (actors and musicians in Hollywood). Every bit of humor about auditions was greeted with roars of laughter and squeals of “oh my god, yes!” as the crowd related to the pains of rejection. There were a few cliched moments and a couple of scenes that could have been trimmed a tiny bit, but otherwise the two actors overflowed with on-screen charisma and managed to reach the heights of performance of the classic 1950’s musicals. Of course, it wasn’t quite “Singin’ In the Rain,” but nothing ever again will be. Some things are just plain sacred and untouchable. But that’s a sort of “shifting baselines” issue that’s not worth letting get in the way of this really fun movie. For me (predictably) the most significant element was feeling the tight story dynamics. It’s a very simple story. Almost too simple at times — i.e. you know that when the two lead actors fall in love there’s bound to be some rough times ahead. But it all works, and by the end you can feel the ABT elements coming together, leaving the audience with the sort of feelings of satisfaction that are needed to connect deeply with a movie. Truly great movies have a simple core that lets you leave the theater feeling everything made sense and was resolved, but also allow you to later find great complexity by thinking back on what the story meant. This one was great that way. I loved it — so much I wish I could go into enormous detail about why, but I don’t want to spoil it for anyone. Suffice it to say the early critics are raving wildly — USA Today posted this article saying the NY critics have already called it the best film of the year. If it is, I’ll be comfortable with that.